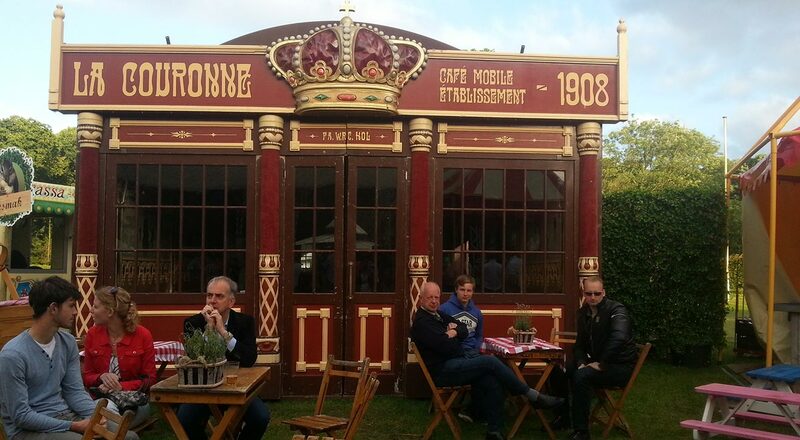 Are you looking for a unique cafe tent that comes equipped with everything you need? 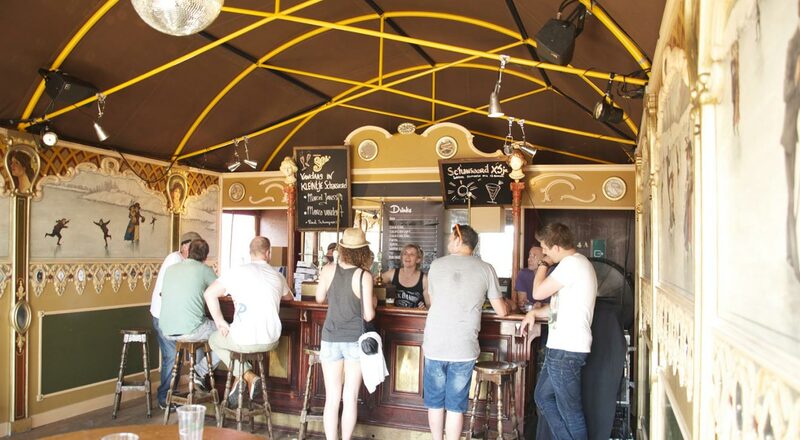 We're more than happy to crown your event with this very special tent. 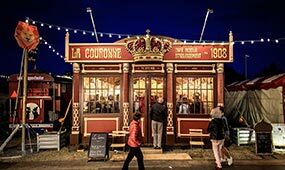 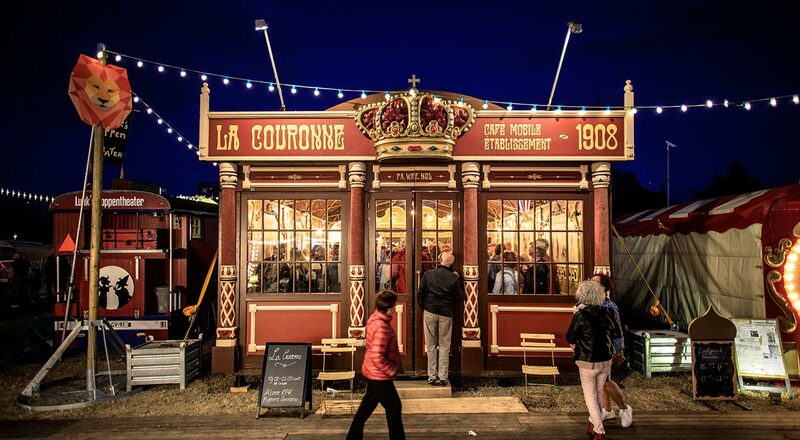 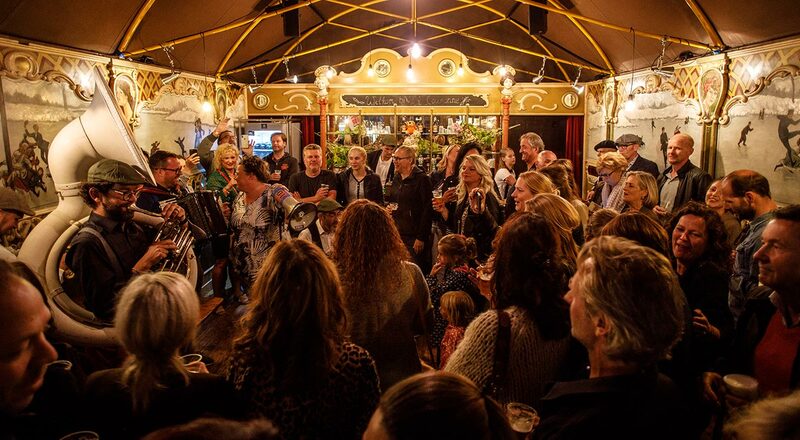 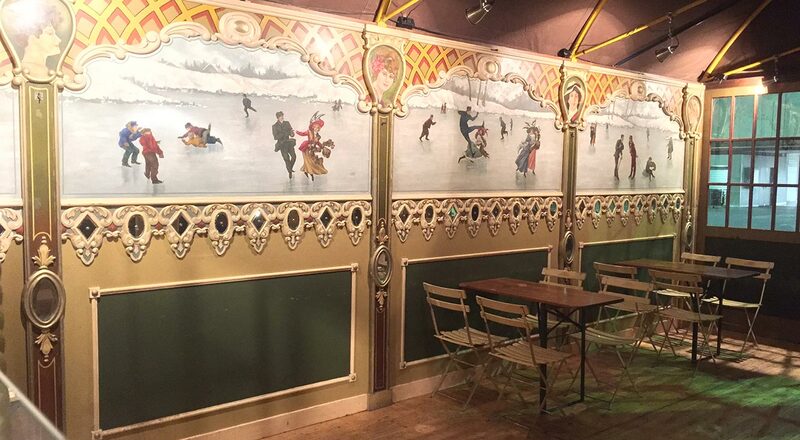 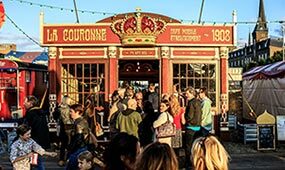 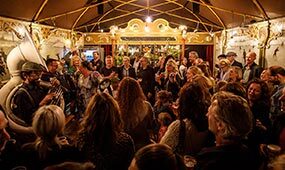 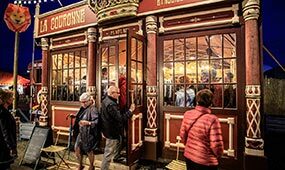 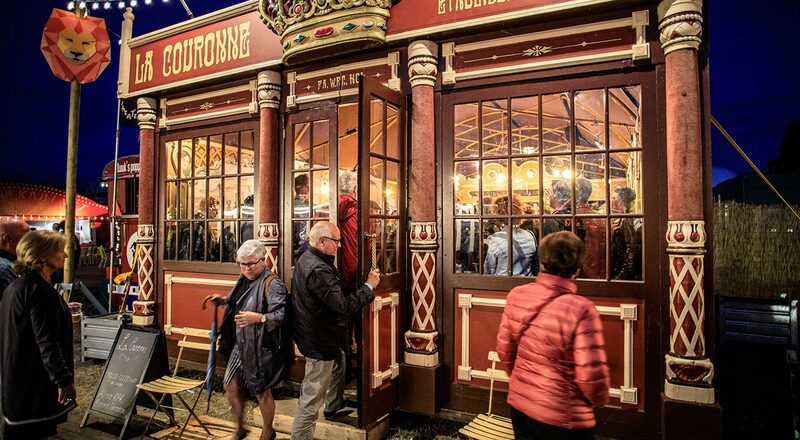 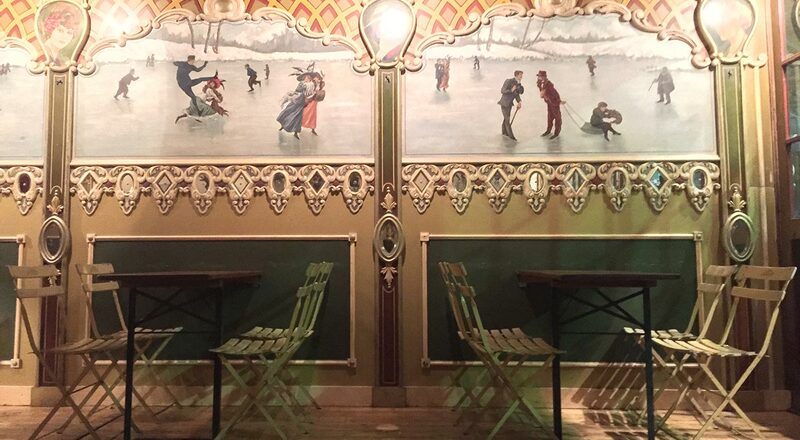 Our La Couronne (Crown) consists of parts of an old carrousel and offers your audience the atmosphere of an old Dutch brown cafe and the playfulness of an old fashioned carnival. 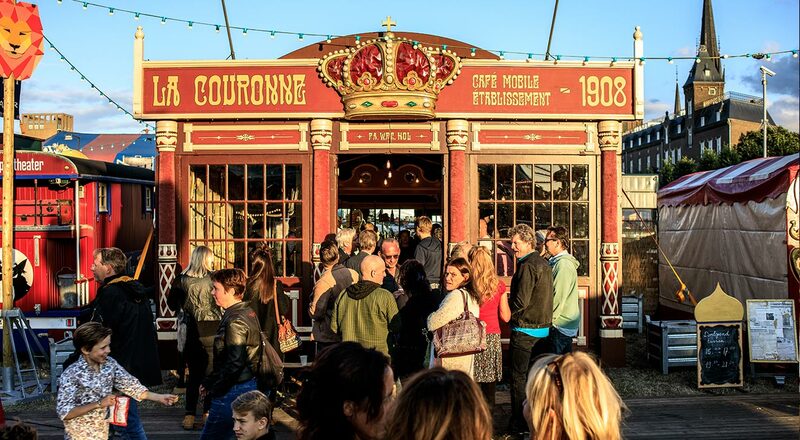 With the crown above the entrance and the four stately golden red pillars, your audience will receive a royal welcome. 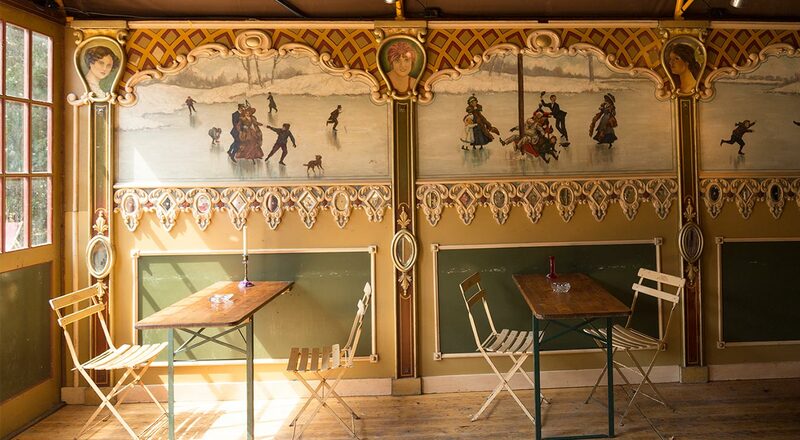 Inside they'll be astounded when they see the murals, the small mirrors and the golden ornaments. 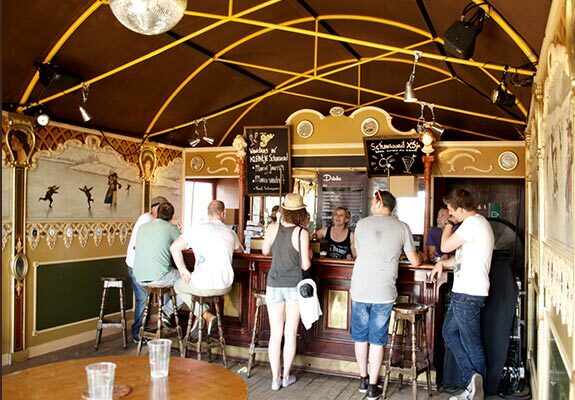 It has a real wooden floor and a robust dark brown bar which is fitted with beer taps and all the necessary equipment. 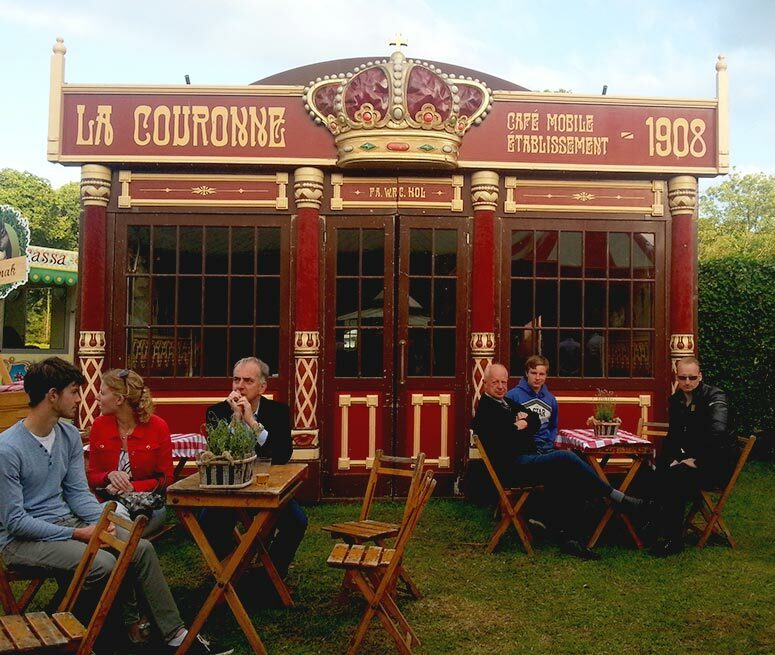 The La Couronne has a high-end appearance and will stand out on the street or next to other tents. 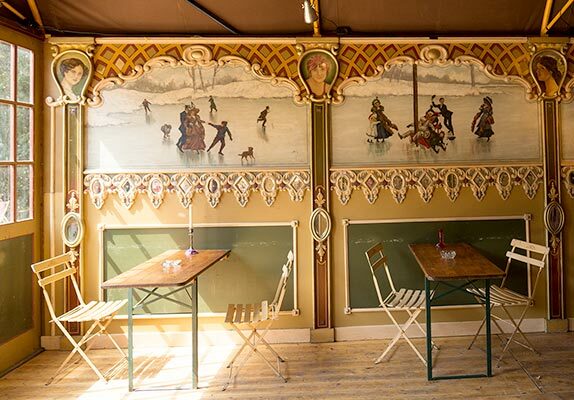 People quickly feel at ease in this extraordinary tent because of its cosy and warm atmosphere.